I first caught on to the craftsmanship of The Band of the Hawk during a review of the fiery track, Mocean. The Houston based producer, manager/mentor, Noah Archangel a.k.a. The Band of the Hawk heads a fierce hip-hop collective that comes with a flavor of raw rap purity not seen since the likes of a 90′ brand genre. Coupled with a knowledge of self, I find the efforts made by the crew a most impressive brandishing of production and lyricism. 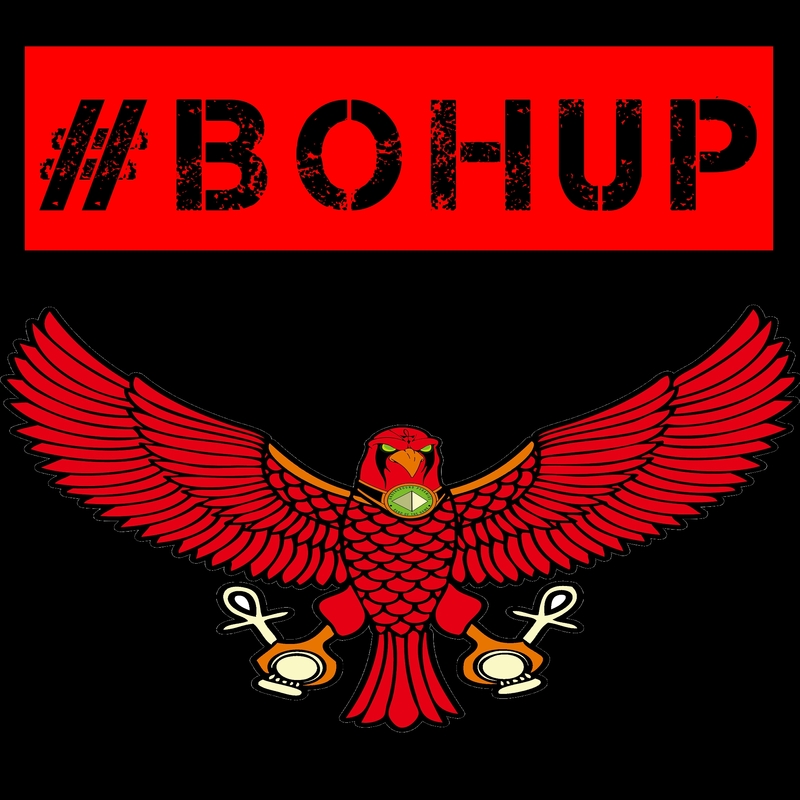 The Band of the Hawk’s new album, BOHUP, comes with a unique flavor of southern swag that proves to be a generation gap and coastlines closer. The album features a murderous row lineup of artists that all find their space to shine. Yes, the album includes Mocean and so much more. Listeners will surely find tracks like Meditation, a sparkler. However, I must admit that each track on the album has its own light. Definitely, check for Ruckus Hawk Minor and the sultry Redbone (feat. Soulfire). BOHUP overall feel is a like stepping from the desert into an oasis. It’s a refreshing break from the gimmicks and requires the listener only to see eye to eye with the skill of the game, and this is where it all begins for The Band of the Hawk. A Review of The Necronomicon by James K. Campbell Jr.